Discussing the latest trends in the technology has become a fad these days, even the people who are least involved with technology, grab the information to remain updated and upgraded. The very latest of all technologies is AI, which is commonly known as Artificial Intelligence, and it is crossing the limits of our imagination, when it is coming to innovation. Although many times a bad thought always accompany with this, that robot stealing our jobs, but on the other hand, there is a very beautiful side of the life associated with AI, which surrounds our lives with comfort and ease. Let’s learn something more about AI and how to make a robust mobile app using AI. 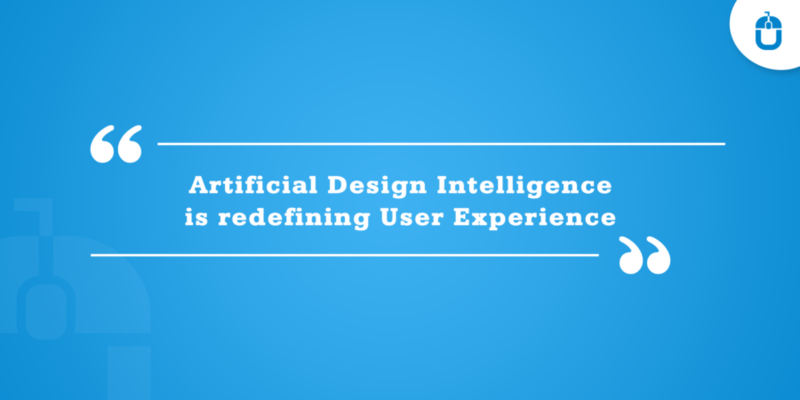 AI is all about innovation, creativity and also experiencing the new concepts. As per a research conducted, it has revealed that 70 % of mobile apps are abandoned in the first 7 days of downloading since they expect something new at every stage and want an impeccable user experience; they want something smart, something extraordinary to come their way all the time. 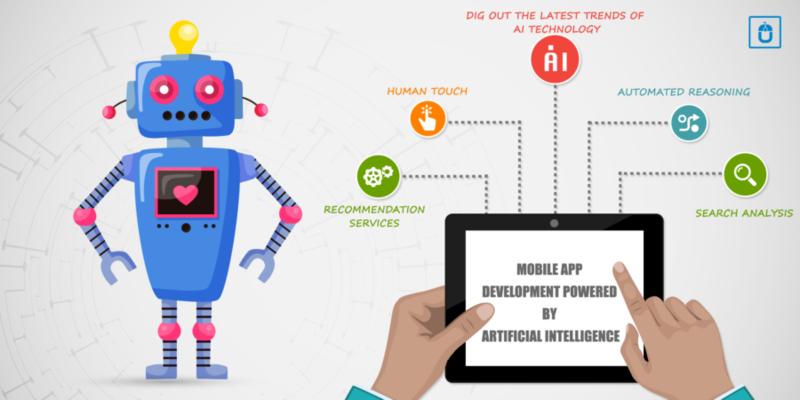 By implementing the AI within the mobile app development process. It will follow the simple logic of creating an appealing experience to a bigger chunk of users and increase the user base incredibly. 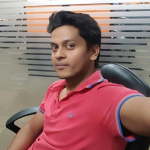 Never force yourself to do something, without understanding it fully; the same theory applies to AI integration in the mobile app development process. You need to get highly familiar with the concept of AI, and what it all involves, since the AI platform is still developing, so you need to make a valid and logical decision to pick which segment of AI would help you increase your mobile app popularity. Also, ensure that how the chosen technology would help your mobile app, you can take the influence from the existing mobile apps using AI. Algorithm functionality within the AI holds it stronger. At times humans are unable to make the best decision for their life, due to certain factors, which can range from emotional to comprehension. On the other hand, automated reasoning helps the users to complete their work task more efficiently. The search analysis is the most demanded functionality of a mobile app, which suggests the users on the basis of their last purchases or visit, what to pick this time. Users require something which can offer them a perfect business solution and save their time if your mobile app can offer such suggestions to your users on the basis of AI system search analysis, your users would receive the required and specific information of their choice. AI is just the intelligence of your machine, you have to segregate the data and prioritize it as per your requirement. AI system only works on the data fed to it, as an app developer, you need to analyze the data and its requirement, because machines can fulfill your command as you want and will help you to analyze the end user’s requirements but only according to your choice, so don’t expect AI to prioritize the data on your behalf. This analysis would help you figuring out that where your app lacks in and you can concentrate more on the improvement required by your mobile app. We all love to be recommended and when this recommendation comes from a channel, which knows and understands our picking habits, then it works as icing on the cake. It is the simplest and most effective aspects offered by AI in mobile apps. The most common reason behind the fail of every app, is to unable to engage users, but with the AI system, user’s choices are monitored and inserted into a learning algorithm, helping the users to pick the next available option based on their choice and preference. At Techugo, we take pride in developing the mobile apps for the leading brands to startups and our mobile app development team has the expertise to create a unique variety of mobile app solution for your business needs, which would help you to showcase your idea, goal and dream in the most informative and engaging way. Our team of top mobile app designers is here to help assist you with every step of your mobile app development strategy. We consult, brainstorm, manage the project, design, develop, test, launch, and market apps in the best possible way.